Though it's not always an indicator of a problem, when your electrical system produces a buzzing noise, it may be experiencing an issue of some kind. There are various reasons for buzzing or humming in an electrical system; it may be wiring or breaker problems, or it may be mains hum. Always take action as soon as possible to avoid more serious problems. Buzzing and humming in electrical systems often have similar causes. Mains hum describes the humming or buzzing sound made by electrical equipment or wires. This sound constitutes the audible frequency vibrations of systems operating 60 hertz, the standard power of an AC line in the United States. Humming occurs at 60 hertz, while buzzing occurs at higher frequencies like 120 or 180 hertz, because harmonics of the initial hum create resonances that result in buzzing. Mains hum can occur in the home around large appliances with motors that click on and off, such as refrigerators. It can also occur if a magnetic field arises from a transformer outside of your home. Audio systems can create and amplify mains hum when turned on. Wiring problems can be responsible for buzzing or humming in your home electrical system. Unfortunately, wiring problems describes a very broad spate of issues, and you should contact an electrician to help you find the exact source of your buzzing. For instance, improperly grounded wires may result in a buzzing sound. The same goes for wires carrying improper loads. If a wire rated for 120 volts carries 250 volts of electricity, the excess in this wire may result in a buzzing sound. Never attempt to fix a buzzing electrical component on your own if you are unfamiliar with wiring. Circuit breakers may cause buzzing in your electrical system for a handful of reasons. A circuit breaker conducting too much electricity that fails to automatically shut off may buzz due to this overload of current. Always turn off your electricity and replace the problem breaker as soon as possible to avoid larger problems throughout your electrical system in such cases. 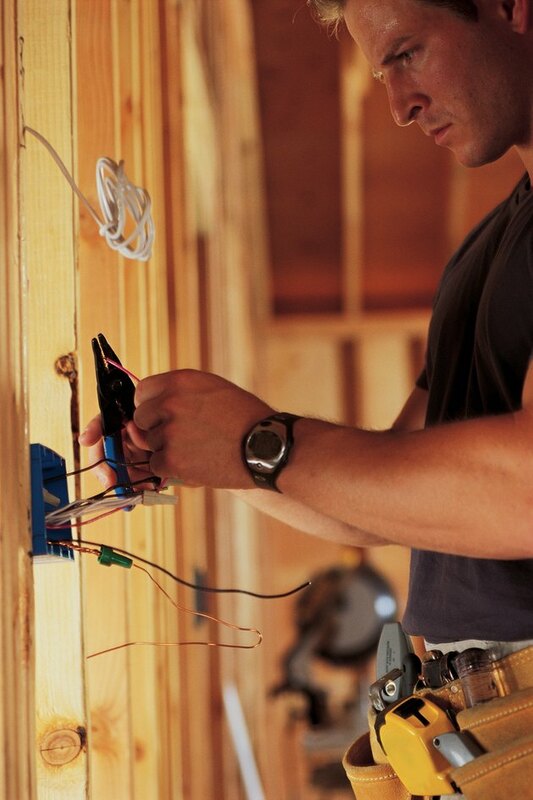 Wires improperly connecting to a circuit breaker can also result in buzzing and even sparking from the breaker. Hire an electrician to fix your wiring immediately in such cases. Various other reasons for buzzing in your electrical system may exist. If buzzing only occurs intermittently, the problem may stem from issues with circuitry. Brief buzzing from a single source may result from something as unexpected as leaking water boiling on wires or circuit breakers. Buzzing may also arise from some unknown anomaly in your system or area. Turning off all of your circuit breakers and turning them back on one by one may help you hone in on the component of your system that is causing the buzzing. Why Does My Surge Suppressor Keep Clicking?